The Hamptons is looking greener and cleaner thanks to the efforts of a group of local youngsters who gave up their time for 90-minute litter pick of the area. Litter removed from the streets, estate borders and open spaces included discarded wrappers, drinks bottles, bits of broken toys – and even a hammer! 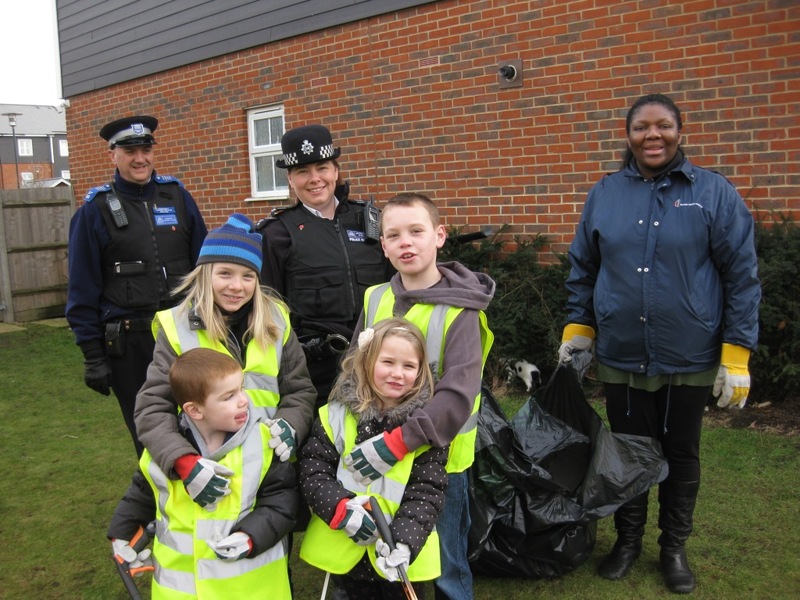 Sgt Suzannah James of Worcester Park Safer Neighbourhoods Team, who organised the event with Thames Valley Housing said “The children really got on with the job and enjoyed themselves - and it was a great chance for us to get to know them,”. Eleanor Morgan, Resident Involvement Officer, at Thames Valley Housing (which runs social housing on the development) said that the “the kids’ hard work was rewarded with a goody bag each.”.